"We believe in bringing competition and innovation to a lending sector that has remained unchanged for generations"
FundingSecure is a Peer to Peer pawnbroking platform which allows members, known as "Investors" to fund loans requested by Borrowers using an asset as security. In a global recession where borrowers and businesses cannot secure loans due to banks' lending restrictions, and where investors are hit with low returns, FundingSecure has been setup to connect these two groups of people so they can mutually benefit. FundingSecure was formed in 2012 and started trading in July 2013. It is a privately owned UK based company (company number: 8120200) with the majority of shares held by the directors. FundingSecure is based in Stokenchurch, Buckinghamshire and currently employs a team of 12. Since launch, it has issued loans in excess of £175 million and currently has over 3,500 active investors on its books. FundingSecure operates throughout the United Kingdom including Northern Ireland and Scotland. FundingSecure works with a number of independent valuers, surveyors, auctioneers, lawyers and other professional firms. FundingSecure is regulated by the Financial Conduct Authority. It is also a member of the UK Crowdfunding Association, Bucks Business First, and the National Pawnbrokers Association. It is a patron of the National Association of Commercial Finance Brokers. Peer-to-Peer lending has been around for a number of years and there are many variants. Essentially peer-to-peer lending is all about a borrower seeking finance from the general public. Different peer-to-peer platforms specialise in different niches, such as business loans (Funding Circle) or consumer loans (Zopa). Other specialities include renewable energy companies and buy-to-let investments. Our proposition initially used the principles of pawnbroking as its base: to borrow money using personal assets as security. This is, in fact, how banking started under the Lombards in Italy. By having a flexible supply of money (using the peer-to-peer concept) we believed we could undercut the high street pawnbrokers. In fact, our proposition proved so popular that we found ourselves dealing in much larger loans than we had envisaged, especially for people with high value assets as there are very few avenues to explore. Most high street pawnbrokers cannot cope with items out of the ordinary. Those who do, cling on to the high interest rates charged for smaller loans. It was not long before we realised that the most valuable and underutilised asset that people had was property. So we expanded our proposition to include this, but keeping the same 6 month loan term with interest rolled up. The result, after 3 years, is a thriving business offering superior returns to investors and competitive rates to borrowers. 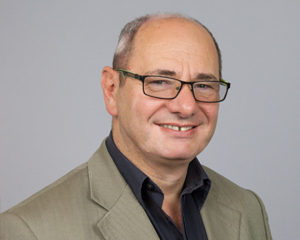 Nigel has over 35 years' experience in business development as a Global Marketing Director with Henkel, the world leader in the adhesive market. He also built up a web-hosting company which was sold a number of years ago. Nigel was one of FundingSecure’s first lenders and liked the product so much he joined the company as an investor and Executive Director in 2014! Raj Kumar is the lead investor and Executive Director of FundingSecure. 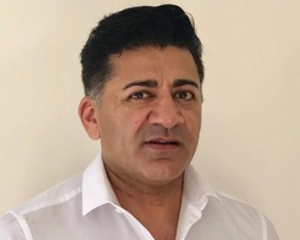 A respected UK entrepreneur, and property development financier, Raj has invested in the alternative finance sector, and peer-to-peer lending for commercial and residential building projects, since 2016. In 2018, he acquired a majority stake in FundingSecure, and is actively involved in the day-to-day development of the business. His primary areas of responsibility include operational stability, investor relations and strategic market expansion. With extensive managerial experience, across a range of industries and geographies, Carl Davies has supported some of the world’s largest brands in both B2C and B2B environments. 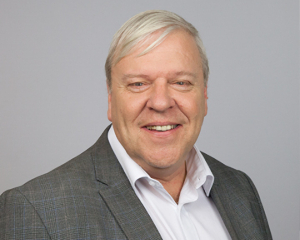 He has founded, managed and developed successful businesses over a 35-year period, building capability across systems, implementing new and improved processes, and developing commercial teams. 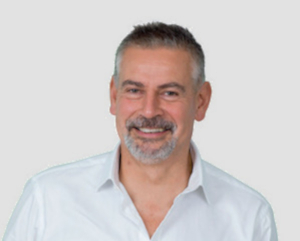 As a seasoned property investment professional and Executive Director of FundingSecure, Carl's main focus is on the delivery of streamlined operations, and the positive evolution of the platform's functionality, user journeys and customer experience. Richard is a Chartered Accountant, having qualified with PWC. He spent 20 years working in various financial management positions with The Coca-Cola Company across the globe. Richard was a founding member of FundingSecure and has helped to grow the company over the last 6 years. Unfortunately, for health and personal reasons, Richard has decided to resign from his position in the company. We would like to thank Richard for his support and wish him well for the future.